Sometimes I talk about these principles at writer-type gatherings. 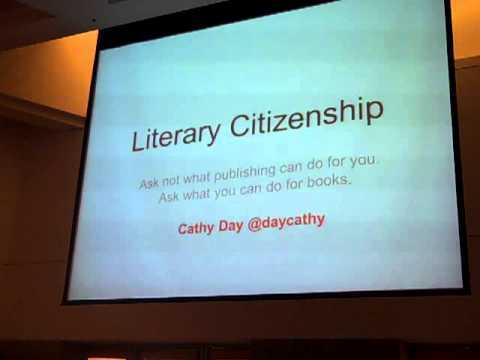 Cross Post Alert: I published some initial thoughts and principles about literary citizenship, in March 2011 over at The Bird Sisters, writer Rebecca Rasmussen’s blog dedicated to artists and writers. I got a lot of my ideas from this post on the Brevity blog. I’ve been teaching creative writing for almost twenty years now, and here’s something I’ve observed: what brings most people to the creative writing classroom or the writing conference isn’t simply the desire to “be a writer,” but rather (or also) the desire to be a part of a literary community. Deep down, we know that not everyone who signs up for the class or the conference will become a traditionally published writer. Well, so what? What if they become agents, editors, publishers, book reviewers, book club members, teachers, librarians, readers, or parents of all of the above?